[Event Report] Success in Glass Expo Pacific Northwest 2018 - Kenwa Trading Corporation, a specialist in door hardware and various door closing solutions. KENWA made a very successful presentation at Glass Expo Pacific Northwest 2018 held in Bellevue, WA last week. Large number of quality customers had visited our booth during the show. 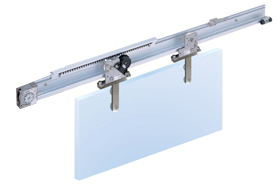 Our NSC-G series sliding glass door closer has successfully drawn a lot of interests from the visitors.